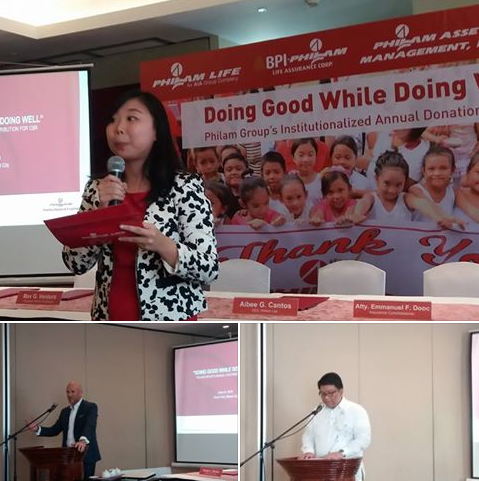 In a press briefing last June 24, 2016, the Philam Group institutionalizes its annual donation to intensify CSR efforts. "Doing Good While Doing Well" summirizes the enterprise's move to give back to the local community. Present during the event were AIA Regional CEO Gordon Watson, Philam Foundation President Max Ventura, DepEd Secretary Armin Luistro and Insurance Commissioner Emmanuel Dooc. "For the past 69 years of philantropic success, we have been actively enriching the lives of Filipino families through our various CSR programs. This year, we want to do more by pledging a portion of our annual income to ensure our CSR programs continue to expand its reach and enable us to serve more communities," said Philam Life Chief Executive Officer Aibee Cantos. Commissioner Dooc commended the Philam Group’s selfless act of institutionalizing its annual donation that would benefit more marginalized sectors of society in his speech. One of the notable projects of Philam Foundation, Philam Group’s CSR arm, is the Philam Paaralan. The said flagship CSR program aims to build classrooms in calamity-stricken areas around the country, in coordination with the Department of Education. The Philam Paaralan program has constructed 101 classrooms in the different provinces since it started in 2011. The Philam Paaralan classrooms are typhoon-resilient and come in fully-furnished with chairs, blackboards, fans, and lighting equipment. Each classroom is integrated with water sanitation and hygiene (WASH) facilities that are essential in providing school children a healthy environment conducive for learning. 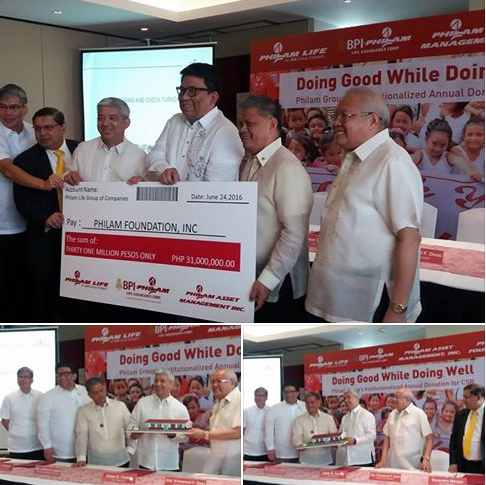 Philam Life, BPI-Philam, and Philam Asset Management Inc., (PAMI), has pooled in their combined annual donation amounting to P31 million, which will be used to finance more Philam Paaralan classrooms and other future projects. A ceremonial check turnover from the Philam Group to Philam Foundation was held to mark this milestone. 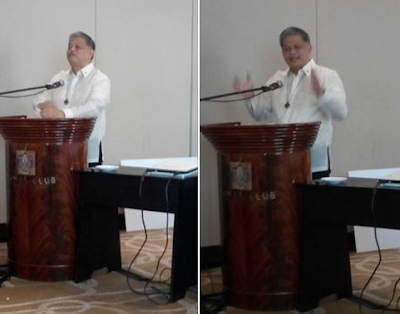 DepEd Secretary Luistro thanked the Philam Group for being a forerunner in providing support to the education sector. The DepEd has been working closely with the Foundation in identifying schools that are most in need of new classrooms. In closing, Cantos said, “Given Philam Group’s strong financial position, we want to be able to ‘do good while doing well,’ and we are happy to create a sustainable contribution to the community through the Philam...We intend to do the right thing in the right way, with the right people."